On September 28, 2018, Leta Blanch Goforth Kershaw of Lake Jackson, Texas was reunited with her lifetime Love, Clarence Edward Kershaw, in Heaven. 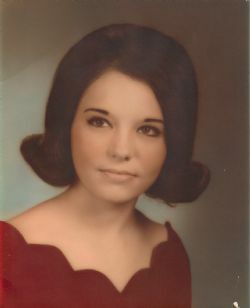 She spent her childhood years in Oklahoma, early adulthood in Louisiana, and settled in Lake Jackson, TX in 1974 which her and husband Clarence Kershaw called home for the remainder of their lives. She was preceded in death in 2013 by her husband of 47 years, Clarence Edward Kershaw, and is survived by children Edward Lee Kershaw and wife Rhonda of Greenville, TN, Linda Kershaw of Greenville, TN, and Tony Kershaw with wife Lei Loni of Lake Jackson, TX. She is further survived by grandchildren Kelsey Kershaw and Kenny Kershaw of Greenville, TN, and Walker Kershaw and Camden Kershaw of Lake Jackson, and bonus grandkids Rebecca Jackson Chmelar and husband Tony Chmelar of Clute, TX. She is also survived by several sisters, one brother, and many nieces and nephews throughout the country. Leta spent the majority of her life in healthcare with a primary focus in the dentistry field. In 1987, she began answering after hours calls and providing consulting support to many Dental and Endodontic offices in the Brazosport area including Dr. Freeman, Dr. Webster, Dr. Boswell, Dr. Harris, Dr. Nikdel, Dr. Dunn, Dr. Boven, Dr. Pravel, and more. She had vigor and compassion for the medical field and maintained relationships with many doctors long after they retired as well as many patients she befriended along the way. Leta was a devoted and loving wife, mother, and friend. In lieu of flowers, the family requests that donations are made to the American Cancer Society. A memorial service will be held on Saturday October 6, 2018 at 2:00 pm at Lakewood Funeral Chapel located at 98 Dixie Dr, Lake Jackson TX, 77566. A second memorial service will be held at her final resting place in Antlers, Oklahoma once final arrangements are completed. Leta made it clear that she wanted an upbeat and casual service, please don’t dress formally!